In 1997, responding to concerns of many residents about a marked lack of police presence and its consequences on the streets of Stalbridge, including under-age drinking, vandalism etc., a group of residents set about forming an action group. Following financial input from Dorset Police, the District and Town Councils and local donations, the Community Information Office was opened in the High Street. Initially, 20 volunteers were trained. Reflecting the needs of the community, this office became the venue for regular Police surgeries and contact point for Home-Watch Coordinators and the Police Ringmaster Scheme; planning information, lost property, and advice services regarding Help the Aged, Environmental Health and Waste disposal and many other advice services. It quickly won several awards and has been replicated in many parts of Dorset. 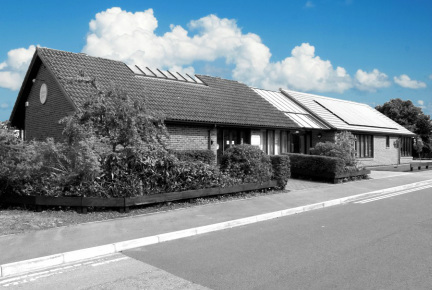 The team’s base has moved three times since inception and is now located at The Hub, Station Road, Stalbridge, DT10 2RG. “… to provide assistance to the public needing access to all levels of Council assistance, eg. Planning, Benefits, Recycling, Highways etc. and police matters. To provide travel information: eg. Public transport timetables, local walks and tourist information. ​The office is still staffed by volunteers and we are always on the lookout for more help. As a result of this close liaison with the Police, Stalbridge is now considered to be one of the safest and most pleasant towns in North Dorset.